In the first half the determined Tupapa Maraerenga team had a lot of problems and miss understanding by the goal keeper and Titikaveka took advantage of every opportunity. Titikaveka scored their first goal in the 4th minute through Christopher Tangatakino. Five minutes later Akiona Tairi of Titikaveka challenged the Tupapa goal keeper and blasted the ball pass him, extending Titikaveka’s lead two goals to nil. Tupapa Maraerenga tried to lift themselves up and was rewarded with a free kick in the 17th minute by Anthony Samuel with a score of two goals to one in favour of Titikaveka. Titikaveka increased the pressure on the Tupapa defence and Akiona Tairi once again scored in the 35th and 41st minute ending the first half with Titikaveka leading four goals to one. The end to end action continued in the second half with both teams pressing at every opportunity. In the 53rd minute Sato Mariri of Tupapa Maraerenga secured Tupapa’s second goal of the match. In the 75th minute Aminesh Prasad of Tupapa Maraerenga took a fierce shot that found the back of the net, with Titikaveka leading by just one goal the pressure increased for both sides. In the 84th minute Samuel Tatuava of Titikaveka blasted the ball and secured another goal for Titikaveka. Anthony Samuel of Tupapa answered back with another goal in the 86th minute. The match ended with Titikaveka winning with a full time score of five goals to four. In the other Van’s Premier men’s match on Saturday host Nikao Sokattak Football Club beat Avatiu Football Club three goals to two. 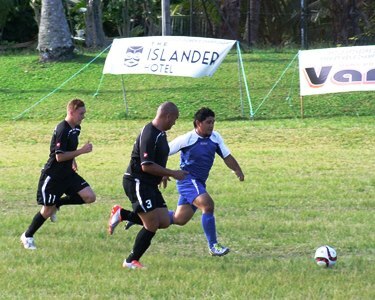 Friday’s Van’s Premier men’s match, Matavera Football Club defeated Takuvaine Football Club two goals to nil. 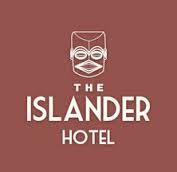 In the Islander Hotel Senior Women’s matches on Saturday, Titikaveka went down to Tupapa Maraerenga two goals to nil and Nikao Sokattak beat Avatiu two goals to nil. Puaikura were defeated by the CIFA Under 16 Girls five goals to nil. Thursday’s Islander Hotel Senior Women’s match, Takuvaine Football Club defeated Matavera Football Club three goals to one.